In the recent post CEO of OnePlus confirmed that new device is under company radar and employees are working very hard to make it the reality and adding to that OnePlus recently confirmed that the company will be skipping the numeral '4' and will be naming its yet-to-be-announced phone OnePlus 5. It also confirmed a Summer launch date. Now further details have emerged regarding the upcoming smartphone. Interestingly, previous rumors suggested that the phone will pack 6GB of RAM but a leaked screenshot suggests that the upcoming flagship from OnePlus will instead feature a massive 8GB of RAM. As per a leaked screenshot from Chinese microblogging website Weibo, the 128GB storage variant of the OnePlus 5 smartphone will pack 8GB of RAM and will run Android 7.1.2 Nougat out-of-the-box based on HydrogenOS (the China version of OxygenOS), as pointed out in a report by AndroidPure. As per earlier rumors, the OnePlus 5 is expected to come with Qualcomm's latest Snapdragon 835 SoC. It is rumored to feature a 5.5-inch quad-HD (1440x2560 pixels) display. It is possible for OnePlus to come out with two memory variants, 6GB and 8GB of RAM, coupled with 64GB and 128GB built-in storage respectively but as there has been no official confirmation, we will suggest you take this new information with the apt amount of skepticism. In terms of optics, previous rumors suggested a 23-megapixel rear camera but recent rumors have suggested that the rear dual-camera setup on the OnePlus 5 will feature a pair of 12-megapixel sensors (standard RGB + monochrome). A retail listing of the phone has also tipped it to come with the 8-megapixel front camera, which will be surprising as OnePlus 3T offered a 16-megapixel camera. Separately, previous reports have claimed that the OnePlus 5 smartphone will sport a dual-edge curved display, hardware navigation keys, and slimmer bezels than its predecessor. 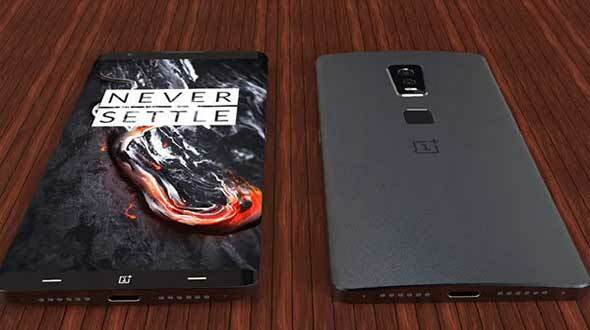 All though the leaks show the specification of upcoming OnePlus 5 but we can not the validity of the information as the company has not confirmed on the specification of the device. So, if you are planning to buy a new android device, we would recommend you for holding till the time device get launched, as it might have bigger surprises.